While the European Union has agencies for police and border police cooperation, it does not have own police powers of attorney. The same also applies to undercover observation and surveillance measures. The police agency Europol has played a most active role in this area nevertheless and has worked for years to interconnect relevant units and working groups from the member states. Europol first organised an experts’ conference on undercover surveillance in 2008, holding a second conference in 2011. Prominent attendees included the European Cross-Border Surveillance Working Group (CSW), an alliance of a number of mobile task forces and comparable units from the member states, which was formed in 2005. According to the Federal Ministry of the Interior, the CSW is investigating “the scope for deploying technical equipment in efforts to combat crime”. It is also addressing the question as to how “criminal activities and technical means to identify police measures” can be prevented. The CSW is actually not a European Union body. To the best of our knowledge, 14 EU member states – namely Belgium, the Netherlands, the UK, France, Spain, Portugal, Denmark, Austria, Italy, Finland, Ireland, Luxembourg, Sweden and Germany – as well as Norway (as associated member of the Schengen Area) are involved. The German Bundeskriminalamt (Federal Criminal Police Office, BKA) belongs to the CSW’s steering group along with Europol, as well as authorities from France and the Netherlands. The CSW was renamed the European Surveillance Group (ESG) at the beginning of this year. The network last convened for a spring meeting in Lisbon and for an autumn meeting in Berlin. Europol hosted an Assembly of Regional Groups on Surveillance (ARGOS) in The Hague in 2014 in order also to involve eastern European countries. The Surveillance Expert Network for Southeast Europe (SENSEE), founded in 2012, which is also part of the Police Cooperation Convention for Southeast Europe (PCC SEE), was also in attendance. Although SENSEE is not a European Union body, the eastern European network’s expenses for attending ARGOS are covered by the Europol budget. Other entities that were invited to the conference included Europol’s Working Group on Controlled Delivery, made up of liaison officers, as well as a newly established “Surveillance Cooperation Group” (CSG). Authorities from non-EU countries were also in attendance. According to the Federal Ministry of the Interior, delegates “from 37 states” came to the meeting. In addition to “challenges and the scope for deploying technical equipment in efforts to combat crime”, legal conditions that can be used to facilitate undercover observations and investigations are also discussed by ARGOS, including the European Investigation Order, which has now entered into force. ARGOS has now become a network under the auspices of Europol that holds annual meetings of its steering group. It is planning a second major conference on the future of undercover surveillance. The Europol system SIENA is used as a communication platform; further support is provided by the European Police College CEPOL. Not all member states are involved in ARGOS to the same degree. An attendance list for a preparatory meeting for the conference revealed that, in addition to Europol, attendees included the UK, Slovenia, Slovakia and Austria. Both the pre-meeting and the ARGOS conference were held at the Slovenian Secretariat of SENSEE in Ljubljana. The police authorities taking part in ARGOS are working on a solution to facilitate cross-border surveillance of tracking devices. 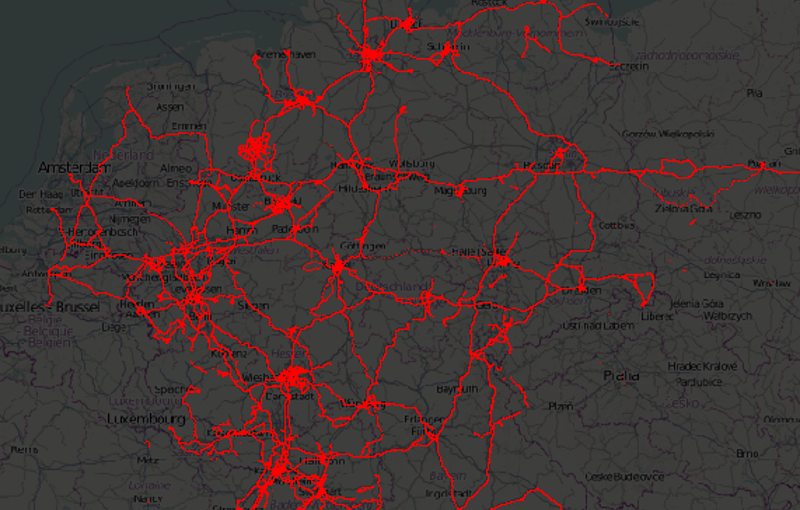 Europol has been working on a European Tracking Solution (ETS) for years in order to track GPS-based transmitters with a uniform data protocol. National systems, some of which take different approaches, would be standardised in the process. The original proposal for this European Tracking Solution came from the Baltic Sea Region Border Control Cooperation and was initially looked into by a working group at Europol that was specially created for this purpose. With the involvement of the BKA, Europol conducted a feasibility study and elaborated a concept for exchanging location data between the location servers of the member states, as well as a Europol tracking gateway. Following a pilot project implemented over the course of a number of weeks last year, the ETS is scheduled to be launched in the first quarter of 2018. Undercover investigators sometimes also use technologies to determine their whereabouts or for clandestine recordings of conversations (“resources for tapping conversations not intended for the public domain”). The European Union likewise has no competence with regard to their use. The EU member states therefore address technical and legal issues relating to the cross-border deployment of undercover investigators in networks that are outside the EU’s competence. In Europe, this network is the European Cooperation Group on Undercover Activities (ECG), and at international level the International Working Group on Police Undercover Activities (IWG). Europol is not a member of either network. It does, however, coordinate a “network of experts for handling informants” with the participation of Europol members. In Germany, informants are classified as “persons in a position of trust”, whereas publications by Europol refer to them as “Covert Human Intelligence Sources” (CHIS). While Europol is not involved in their specific missions in any way, it maintains a register of their leaders in the member states. This text first appeared here. Image: The Federal Police suffered a leak of data recorded by GPS bugs in 2011. This is a reconstruction of the persons and/or objects that were tracked.